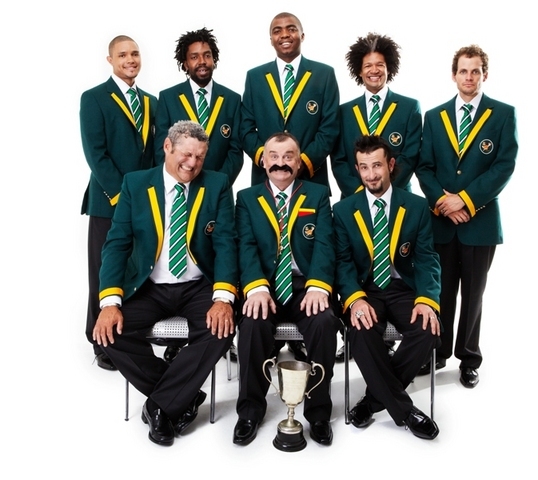 Every few million years, a team emerges with the power to do more than simply win matches, a team with the power to unite nations and make the world a better place for every man; woman and child…Bafunny Bafunny, The South African Comedy Team are such a group of players. Inspired by incredible true stories where people laugh in the face of adversity, Bafunny Bafunny includes performances by Marc Lottering, Barry Hilton, Trevor Noah, Nik Rabinowitz, Loyiso Gola, Kagiso Lediga, Mark Banks and John Vlismas. Created by Comedy specialists Hunta Live who are no strangers to hosting international comedy heavy-weights in arenas across SA, their latest offering Bafunny Bafunny will make history as the first South African Comedy Production to be staged at the prestigious Royal Albert Hall. The momentous tour will kick off with an “away game” in London at the Royal Albert Hall on the 20th of May 2010 before returning to South Africa to complete their national tour in May and June 2010. Tickets are priced from R120 to R200.